Swansea City Football Club were formed in 1912, they were known at the time as Swansea Town FC. The area around Swansea had traditionally been known as a Rugby town, and despite previous attempts by a football club named Swansea Villa, there were no notable football clubs until the establishment of Swansea Town AFC. 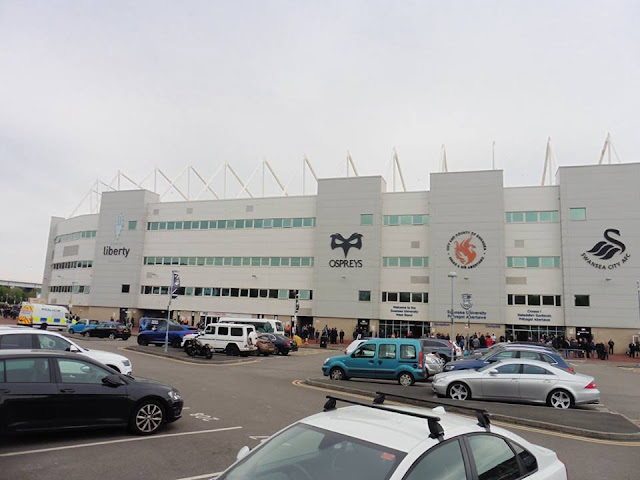 Following the lead of many South Wales clubs, the club joined the Second Division of the Southern League the following season, with J.W Thorpe becoming the club's 1st ever Chairman. 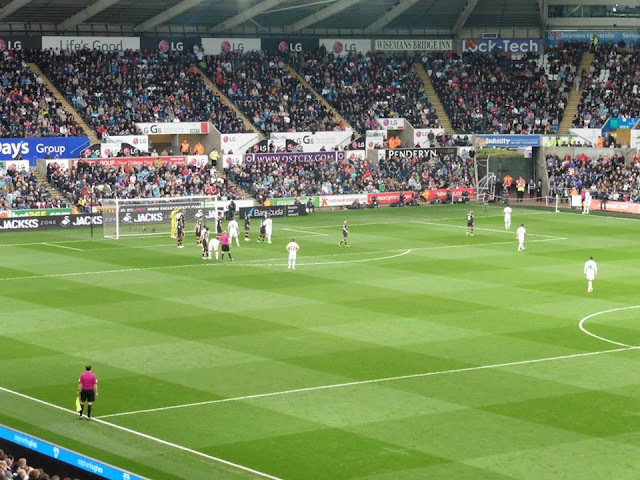 The club's first ever professional match was a 1-1 draw at the Vetch Field with rivals Cardiff City in September 1912. 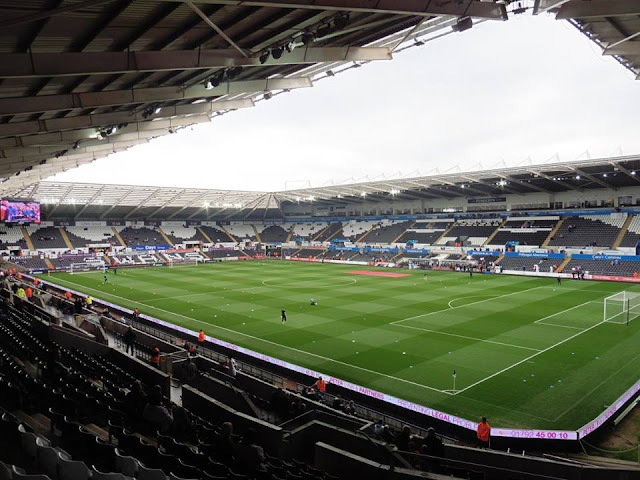 In the same season, they won the Welsh Cup. 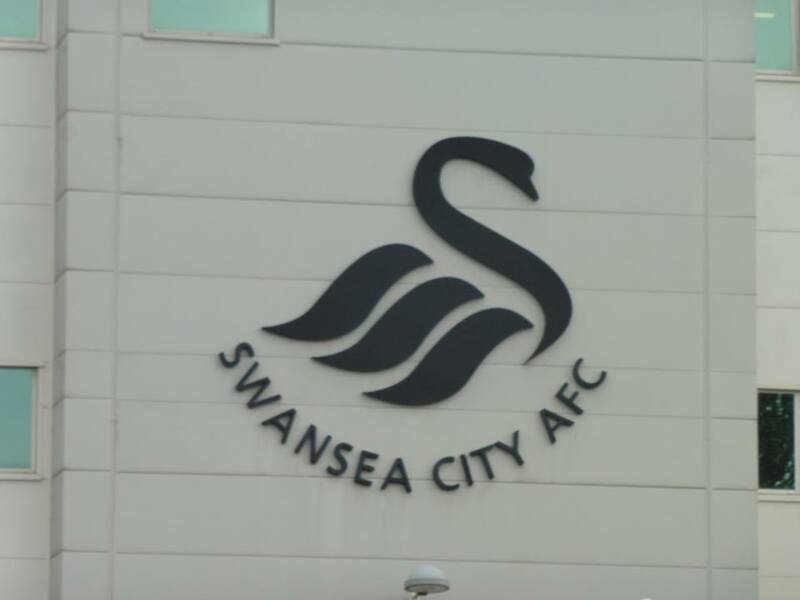 The Swans beat the reigning English Champions Blackburn Rovers 1-0 in the 1st round of the FA Cup, Ben Benyon scoring the winner for the Swans. 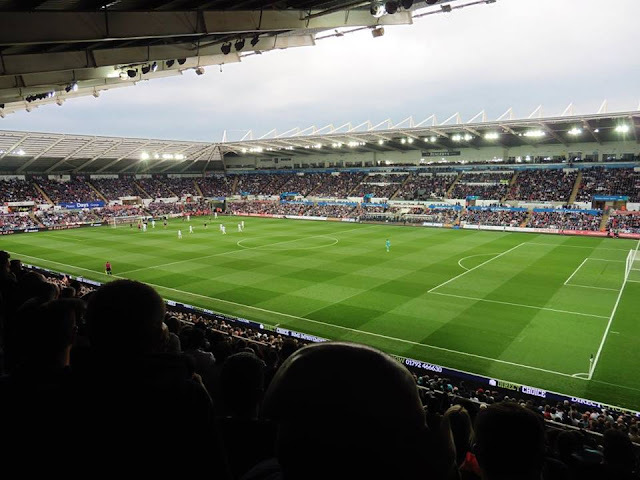 Swansea had previously been in the Welsh Football League before joining the English Leagues, Swansea winning the Welsh Football League 12 times, the last one being in 1976. 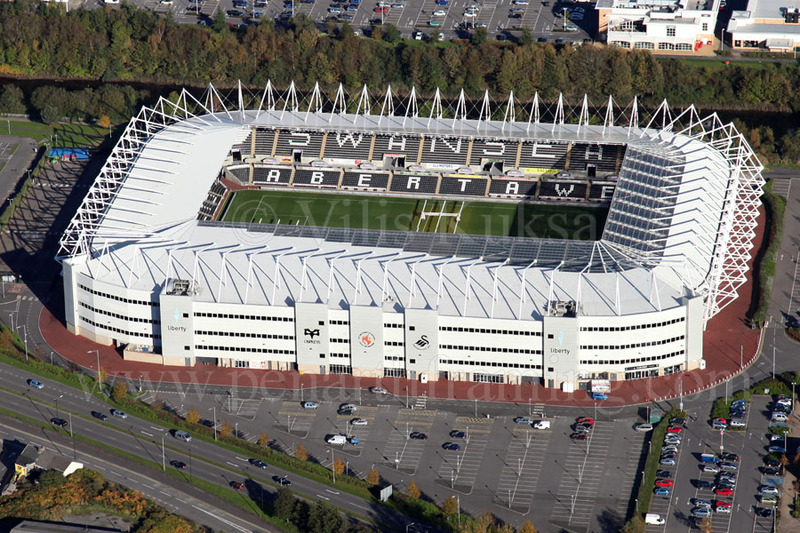 As stated, Swansea previously played at The Vetch Field before moving to the Liberty Stadium in 2005. 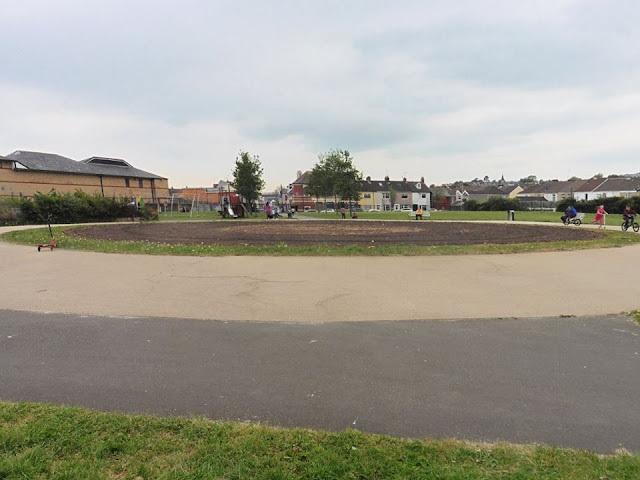 After leaving The Vetch in 2005, the ground was demolished in 2011 with now allotments and a children's park on the site. 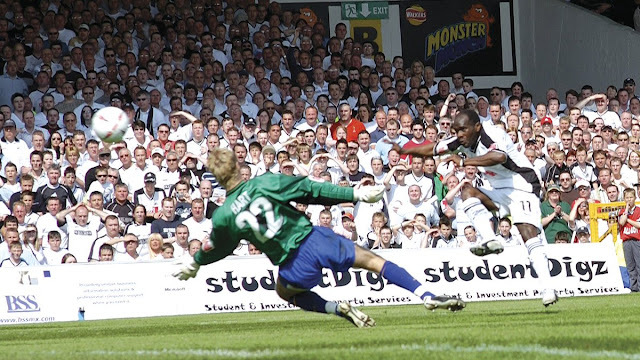 Swansea's last ever game at The Vetch was a 1-0 win over Shrewsbury Town, Adrian Forbes getting the winning goal for the Swans. 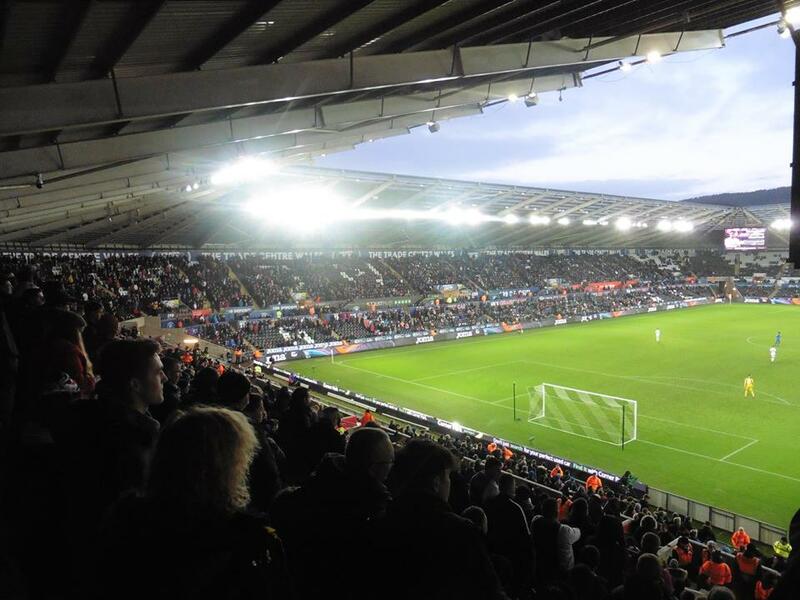 Swansea's only League Cup win came in 2013, a 5-0 win over Bradford City at Wembley, goals coming from Nathan Dyer, Michu and Jonathan De Guzman getting the goals. 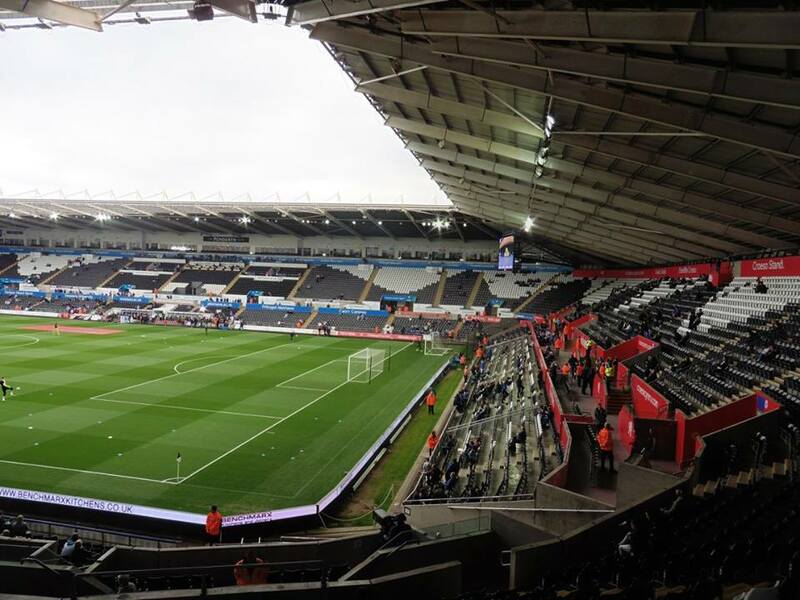 Swansea's main rivals are Cardiff City in the South Wales Derby. They have met over 100 times, and have been very heated at times. 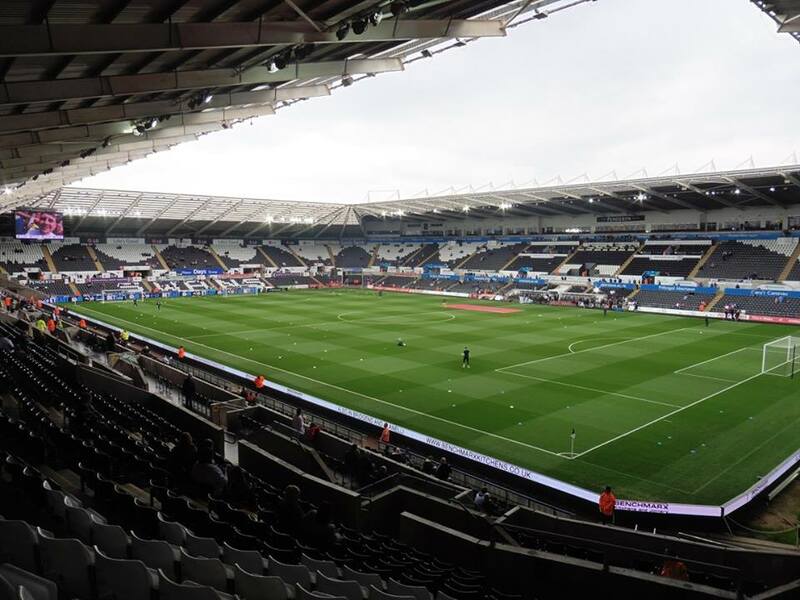 Referee Mike Dean got struck by a projectile in the Derby at Cardiff City's previous ground Ninian Park in 2009. 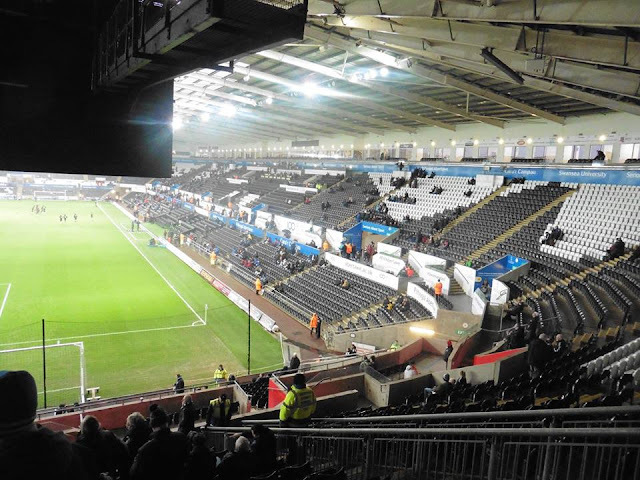 I had previously been to The Liberty Stadium the once, back in 2011. 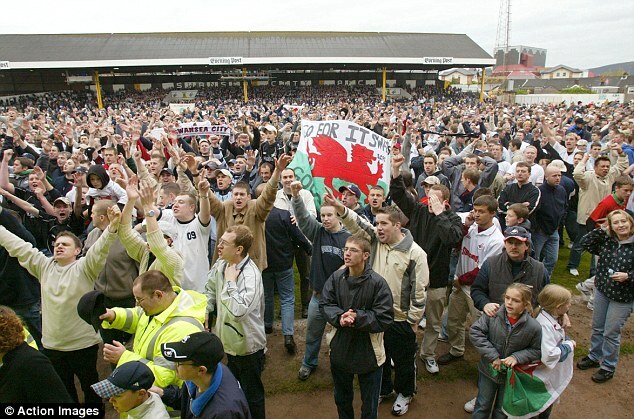 It was with my ex girlfriend at the time who was an Aldershot fan and a soft spot for Sunderland (bizarrely) so of course at the time it was a great opportunity to tick The Liberty off. Only good thing about that day was of course seeing a full 90 minutes (I'll explain in a bit) and ticking off a new ground. In my 1st visit I didn't take any pictures so of course a re-visit to Swansea was always going to be on the cards at some point. My 2nd visit came about when I put a poll up on Twitter, it was a choice of 2 games. 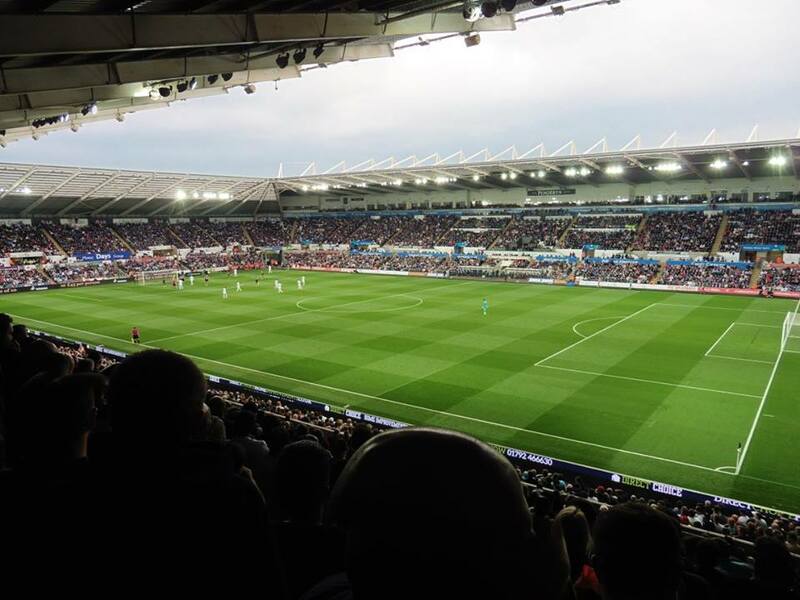 Either Hull v Sunderland or Swansea v Everton. 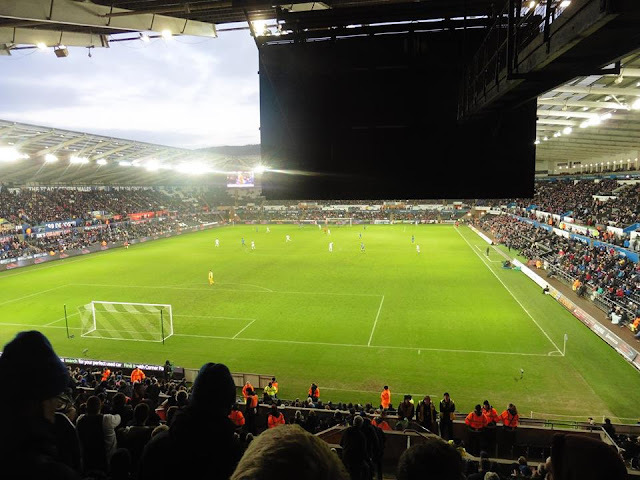 Hull would have ideally been a new ground for me, but I fancied a re-visit to Swansea anyway. Both of them clubs I would have liked to have visited their old ground. Hull with being Boothferry Park and Swansea with The Vetch Field. So after a Twitter poll came in, the most votes being with Swansea v Everton. I felt this could have been a better game to go to anyway. Anyway, onto my 2nd visit. I left home just before half 9, and arrived into London Paddington at around 10.45. I left Paddington at 11.45 and arrived shortly into Swansea just before 3. 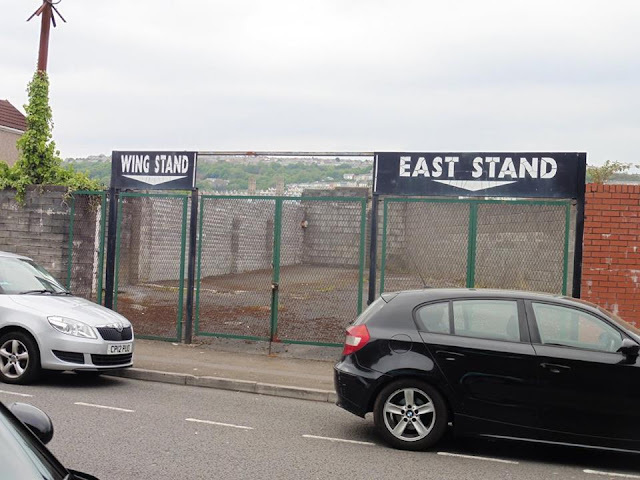 I took a short walk to Swansea's old ground The Vetch as you can see above. I do love visiting old grounds, and it's always nice to see old grounds still being remembered. 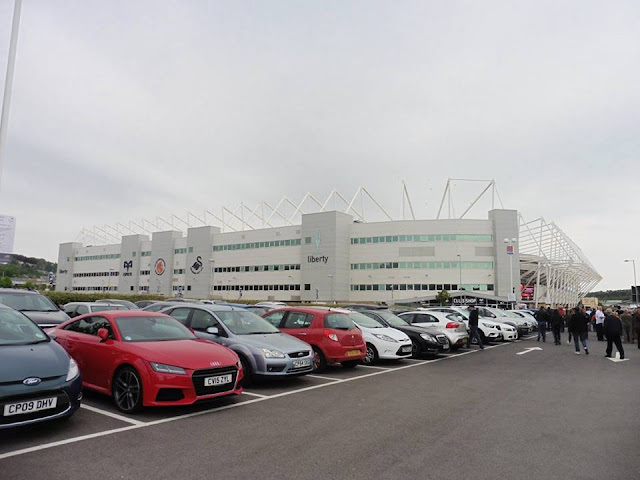 I've said before, I believe that if a club plans on moving to a new ground from their ground they've been at for about 100 years, I still think they should leave something there to be quite memorable. 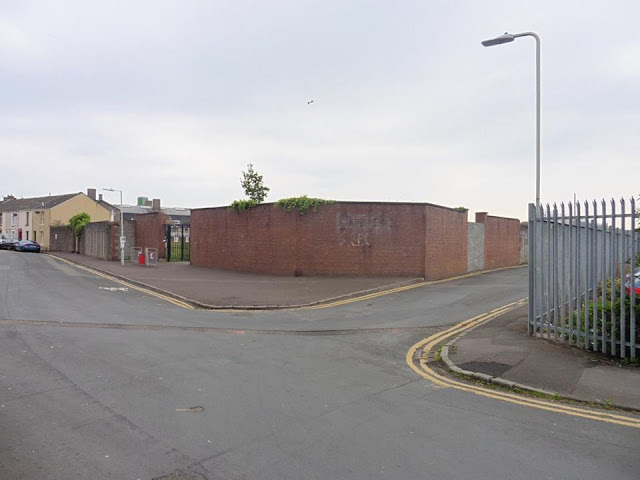 As shown in the last picture above, the gates are still there which is nice to see. The Vetch Field now is just mainly allotments and a kid's play area. 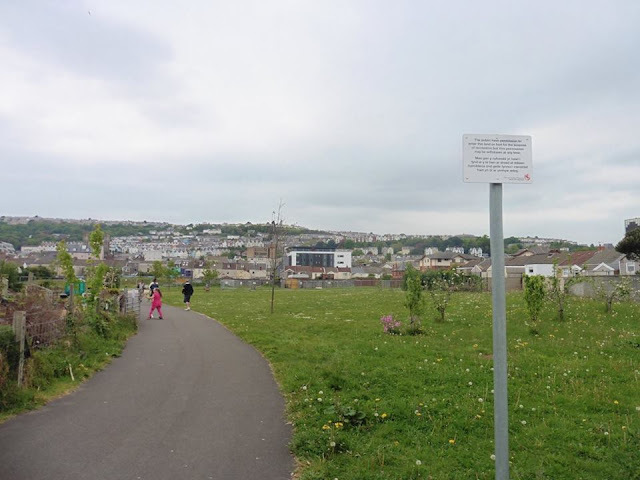 In the 2nd picture above, that is also the official centre spot of The Vetch Field which was quite nice to see I thought. Swansea City's just can't get enough song being sung, mostly sung at home games. Was sung quite a lot when I went! So, anyway after visiting The Vetch Field for about half an hour, I made my way to The Liberty. I was looking forward to this one, but I wasn't in some ways. I ordered my train ticket and match ticket, but a while afterwards, BT Sport announced the game was on TV and was moved to a half 5 kick off. It wasn't too much of a problem, but the last train back to London was 19.29 which of course meant I would have to leave the game early in order to get my last train back which was annoying. But luckily I got some pictures so wasn't too bad. Anyway, I got to the ground about half 4 with having plenty of time to kill. Took some pictures outside and then made my way into the ground. Sadly as I just previously mentioned, I left the game on 62 minutes due to catching the last train home, but from what I saw, the 1st half there wasn't a lot in it. 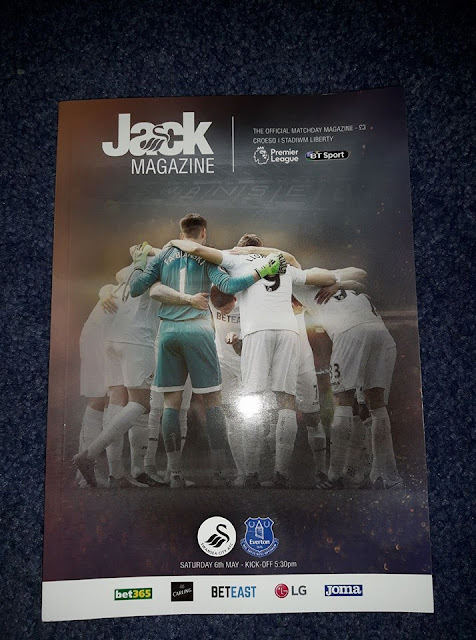 Was a fairly even 1st half, Everton didn't really offer much and neither did Swansea, although Swansea had a lot of the possession. 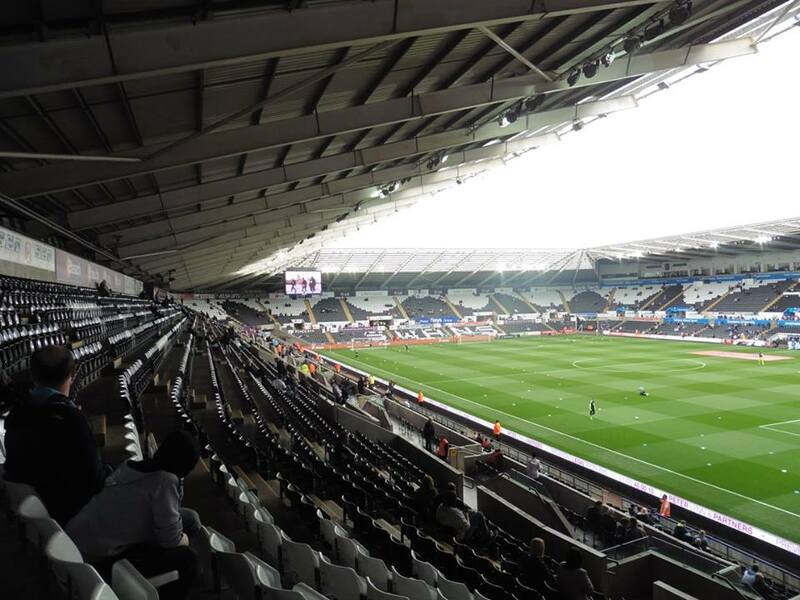 Luckily I saw the goal and the only goal of the game which came from Jordan Ayew's cross which saw Fernando Llorente head in and put Swansea 1-0 up. The place literally erupted. 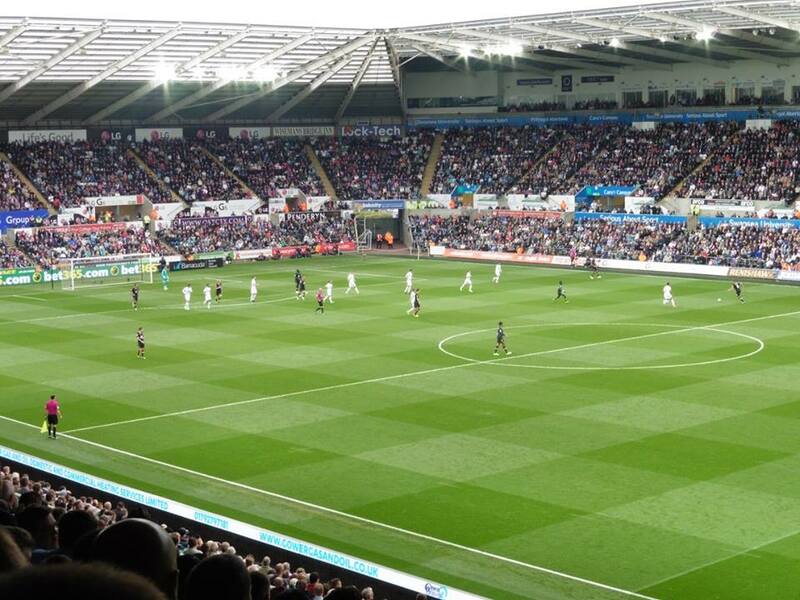 Swansea fans were terrific when I was there, atmosphere was fantastic I thought. Gotta say, Swansea fans atmosphere wise is arguably in my top 3, I remember they were decent when I first went to Swansea so it's good to see they're still as good then! Even when I left the ground on 62, as I was walking to the ground and as I was pretty much at the station, I could still hear Swansea fans singing then and that was a half an hour walk away. Anyway, I caught my last train home and I got back home shortly after midnight. A pretty decent day, got everything I wanted to do done, just a shame I had to leave the game early. I do plan on visiting Swansea again in the future, think it's a lovely place to visit as well as the ground. 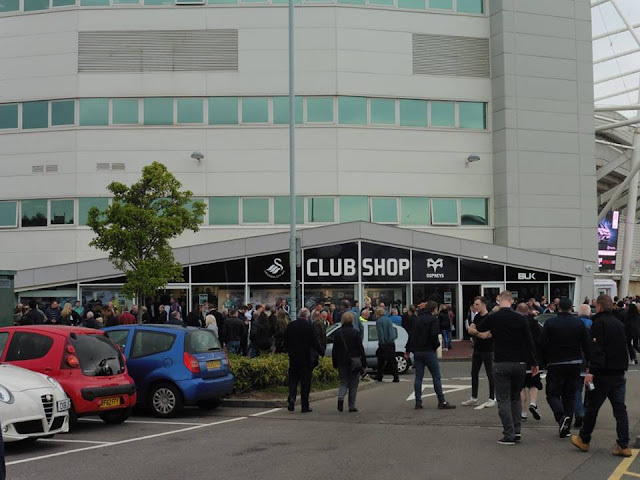 Swansea City take me to The Vetch song. 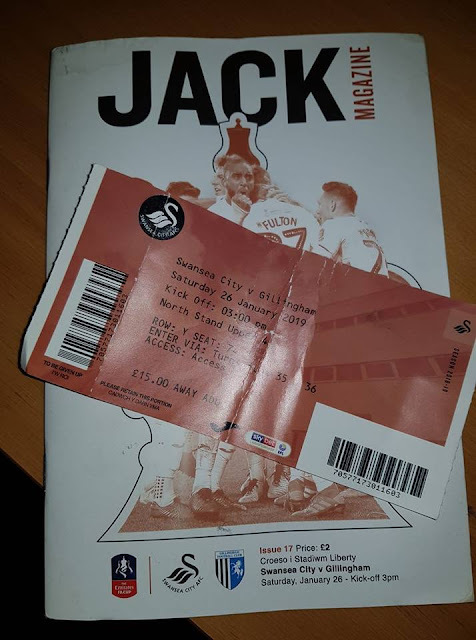 Normally I don't usually update blogs that I recently went to but thought I would on this occasion as it was my 1st visit to the Liberty watching Gillingham play there. My last update on a blog with Gills was funnily enough Slough away in the FA Cup, a ground I visited twice in a space of 3 weeks pretty much haha. Originally on this day was meant to be Sunderland away with Gillingham. But with us still being in the FA Cup, of course that game was always going to be rearranged. 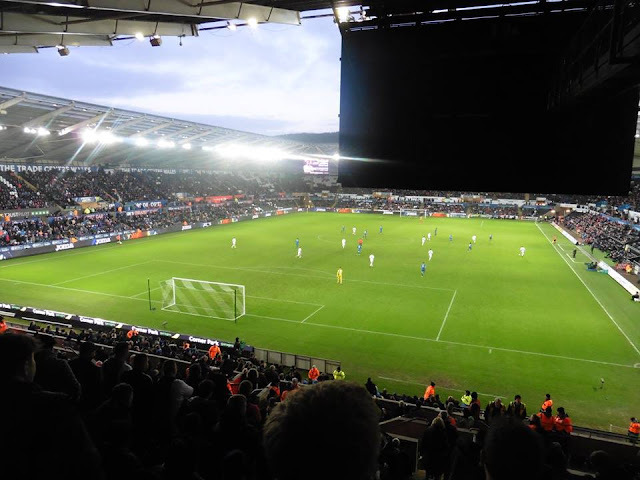 From one long arse trip to another, after beating Premiership opposition Cardiff City in the 3rd round, the 4th round draw was live on TV on the following Monday night. I was working, but luckily I was able to watch it on my phone live on YouTube. 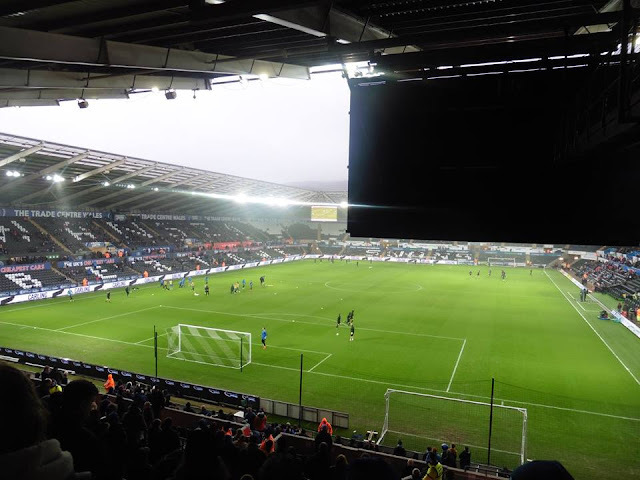 It was a quick draw as Swansea City v Gillingham was drawn 1st, even though I was hoping we wouldn't be drawn 1st. My thoughts on the draw, I wasn't overally best pleased with the draw, but it wasn't the worst draw we could have got. 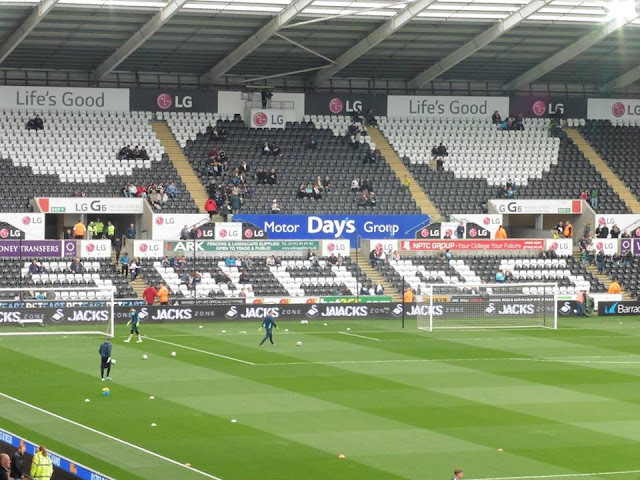 But both times I've been to the Liberty have been fairly decent, even though my last visit I had to leave early to get the last train back to London. 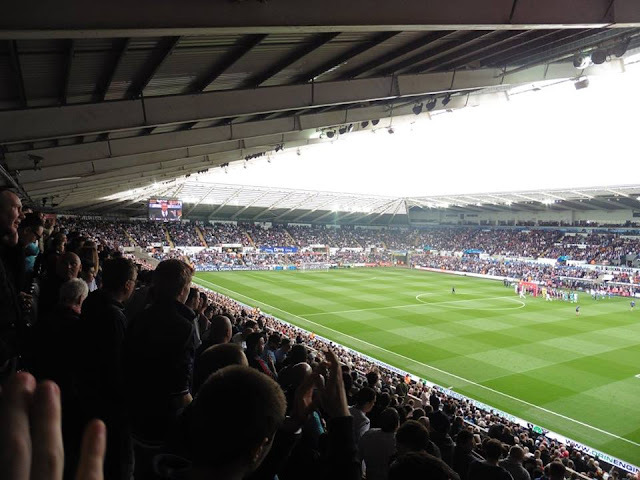 So, Swansea away it was in the 4th round, and was time to sort train times out and it was fairly expensive though which was expected. 9.45am train from London Paddington and 18.29 train from Swansea was always going to a long day. 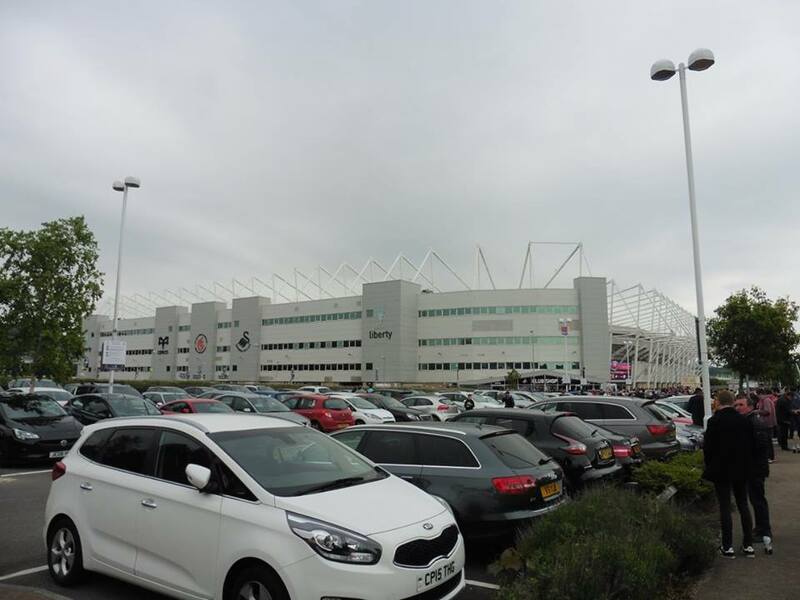 So after leaving around half 7 in the morning, I arrived into Swansea just before 1pm. I went to find the nearest Ladbrokes, which Google Maps told me was practically by the station but ended up not being there which was a pain in the backside. Luckily I found another Ladbrokes within a 7 minute walk which wasn't too bad. It had proved to be a fairly good week with football bets, winning over £100 which proved to make a nice change! The weather also proved to be abysmal, chucking it down from the station to the ground which was annoying but can't be helped. 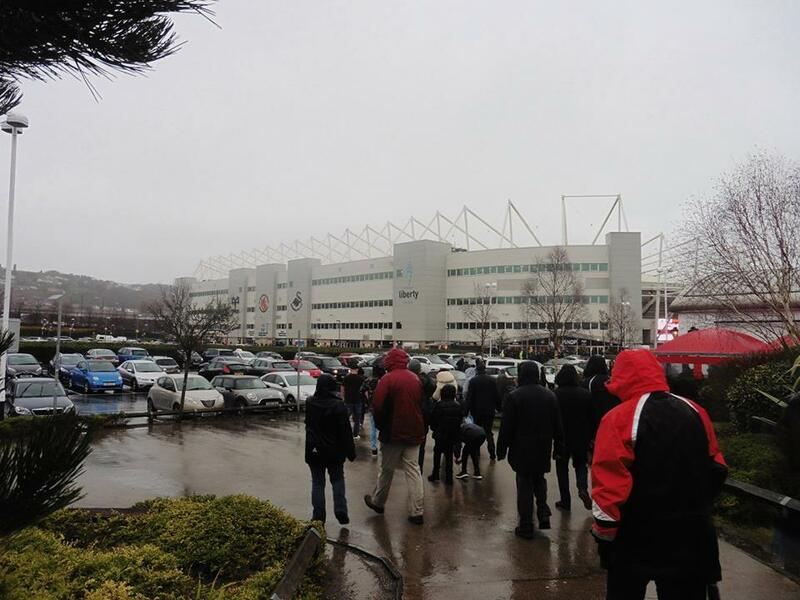 After leaving the town of Swansea around 1.30pm, I arrived to the ground shortly after 2pm. The game itself was to be expected, I wasn't overally fussed what was going to happen score wise. 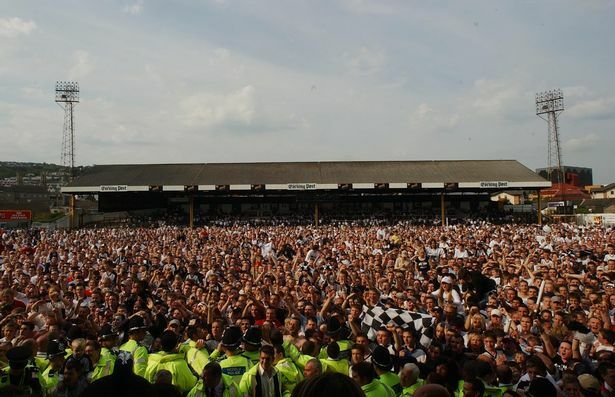 A win would have been great, but with Tuesday's home game with Accrington Stanley was far more important. Swansea took the lead on 10 minutes from Oli McBurnie, only to double the lead on 32 minutes. 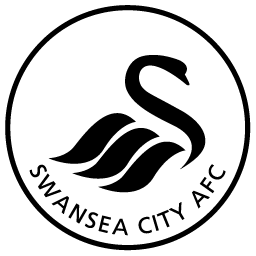 Josh Rees for us pulled one back early on in the 2nd half but Swansea killed the game off with a superb finish for the 3rd from Swansea's Bersant Celina. A great shot and no keeper would have saved it. Barrie McKay scored a 4th 6 minutes from time to send us out of the FA Cup. A great FA Cup and the 1st time we reached round 4 for the 1st time in 15 years. A decent day in Swansea despite the result, after leaving Swansea on the 18.29 as said above, I finally arrived home shortly after 11.30pm and boy I was glad to be home. Onto Tuesday night, a massive 3 points needed. The Liberty Stadium has been the home of Swansea City Football Club since 2005 after playing at The Vetch Field from 1912 to 2005. The Vetch had a capacity of 11,475 when it closed. 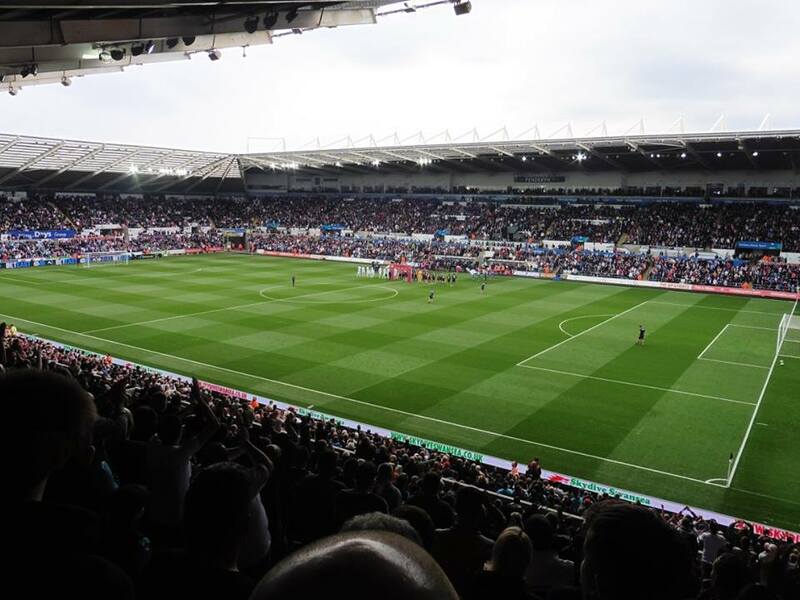 The Liberty Stadium has a capacity of 21,088. 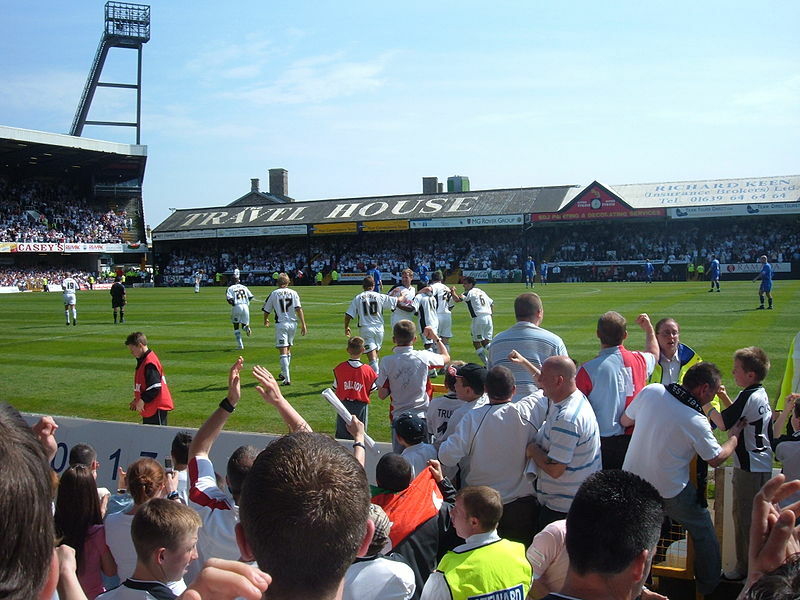 Away supporters are housed in the North Stand of the ground in which anything up to 2,000 supporters can be allocated. 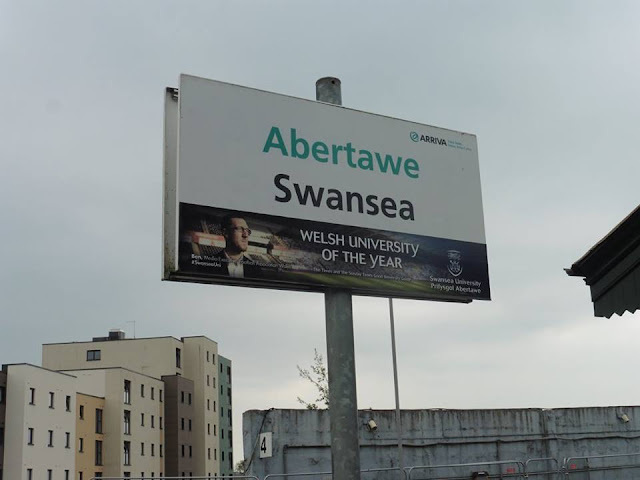 Swansea railway station is on the main line from London Paddington station, and it is about a half an hour walk from the station to the ground.